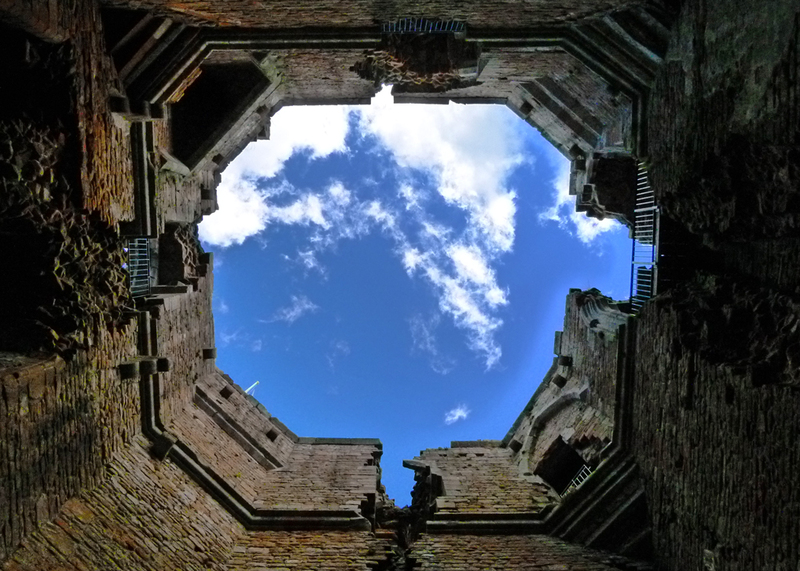 I’m gazing up through the empty keep, where long-dead feet once paced across floors that have themselves long-since vanished, rotted away. 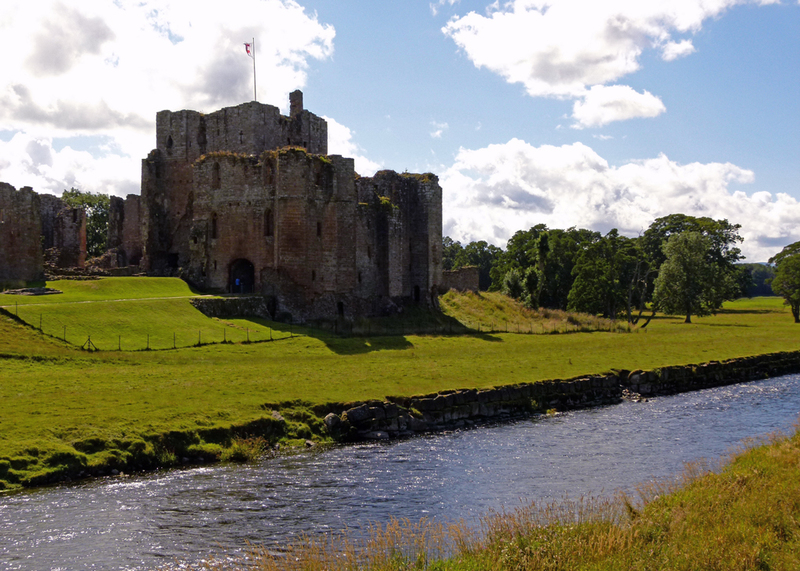 Here’s Brougham Castle, scenically sitting on the south bank of the River Eamont a couple of miles outside Penrith, just off the A66. Someone should write a song about that road… get your kicks, on the A66… I’m sure they have. 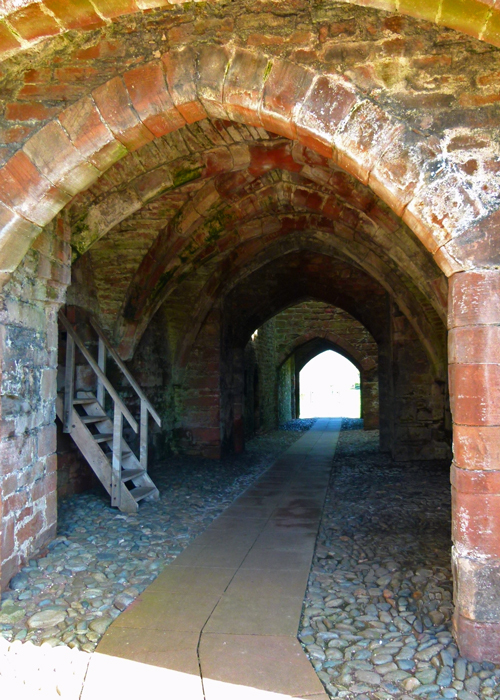 Brougham means something like ‘village by the fort’ and Brougham Castle was built, sometime in the early 13th century, next to and partly on top of, the buried remains of a Roman fort, Brocavum. The Roman fort was established in the late 1st century AD at the confluence of the Lowther and Eamont rivers and on an important crossroads. It was a strategic location, part of a network initially designed to keep the local Brigantes tribe in check and eventually connecting York (Eboracum) east-west across the Stainmore Pass and Carlisle (Luguvalium) in the far north. 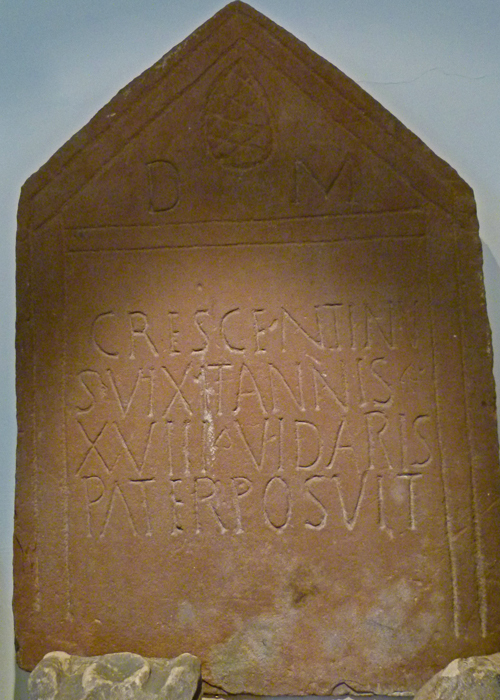 Troops stationed at Brocavum included a unit that originated from what is now Portugal during the 1st century and, in the 3rd century, a unit raised in Anatolia – modern Turkey. The Romans left sometime toward the end of the 4th century, by which time the Romano-British civilian settlement which had grown up around it was extensive, stretching either side of the Eamont. Much of Brougham’s story remains buried and it is certainly not clear what happened there after the Romans departed. By the time of the Norman Conquest in 1066, it was in the British-Scots Kingdom of Strathclyde – until the area as far north as Carlisle was taken by King William Rufus of England in 1092. Eight hundred years ago, this wild part of Britain was bandit country. The castle’s medieval founder, Robert de Vieuxpont (or Vipont) was a loyal friend of King John and, at one time, was High Sherriff of Nottingham; perhaps he knew Robin Hood. Anyway, the location was just as strategically important in the 13th century as it had been twelve hundred years earlier, albeit the main foe by de Vieuxpont’s time was the Scots. 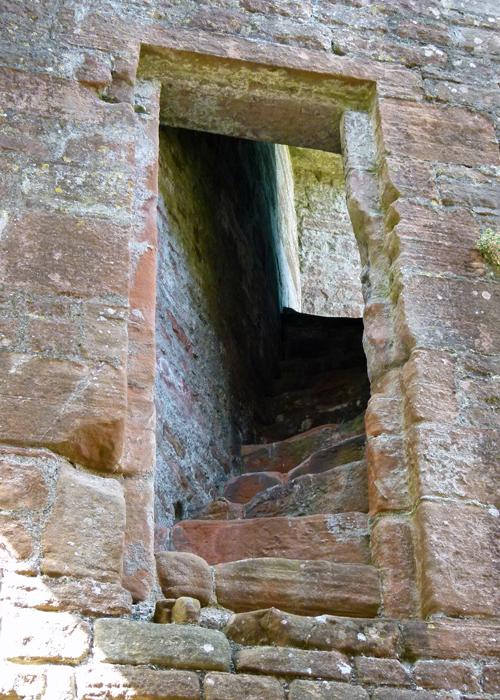 Brougham passed to the Clifford family by marriage and, sometime around the year 1300, the 1st Baron de Clifford refortified it and constructed a new accommodation block, known as the Tower of League. Its ruins hint at the luxury that must have been; sometime in the early 14th century, Edward I popped in to Brougham, and may well have stayed there. It’s an odd shape, is Brougham; but it does have a large and imposing keep. You can read in the blurb about the place that “From the keep top enjoy panoramic views over the Eden valley and the earthworks of the adjacent Roman fort.” It surely does, but we climbed all the way up those steep, narrow, spiral staircases, round and round, leaning into the old walls, gasping and wheezing, until… we came to a locked gate. I smell a risk assessment. The blurb lies! The only rewarding aspect to this pointless exercise was spotting a Roman tombstone in the ceiling; clearly, the medieval builders weren’t going to waste perfectly good pieces of dressed stone that happened to be conveniently lying around nearby. And, perhaps inevitably, Turner sketched and painted it. 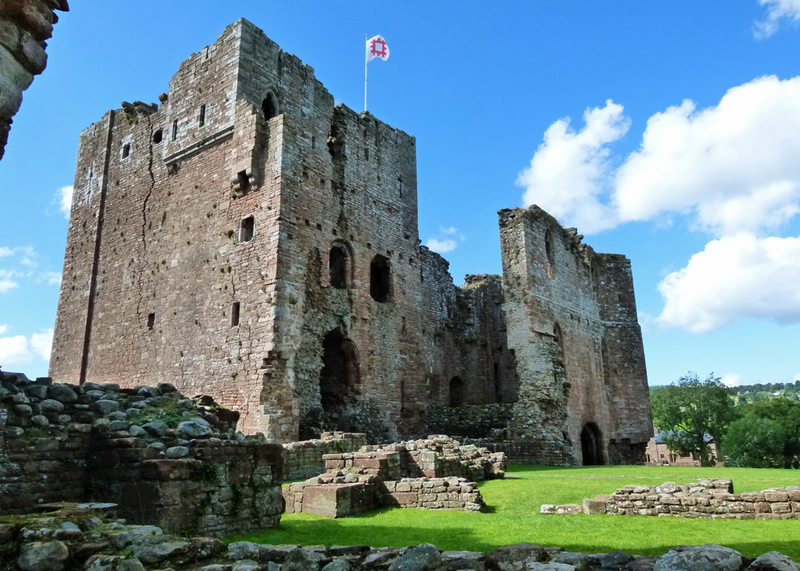 Today, Brougham Castle is an impressive, attractive and fascinating ruin, with families picnicking in the cobbled courtyard that once echoed with the sounds of a busy fortress, and kids exploring its intriguing nooks and crannies. There is no hint of the violence or hardship that its walls must have witnessed and the babble of Imperial Roman auxiliaries has been replaced with shrieks of childish pleasure. 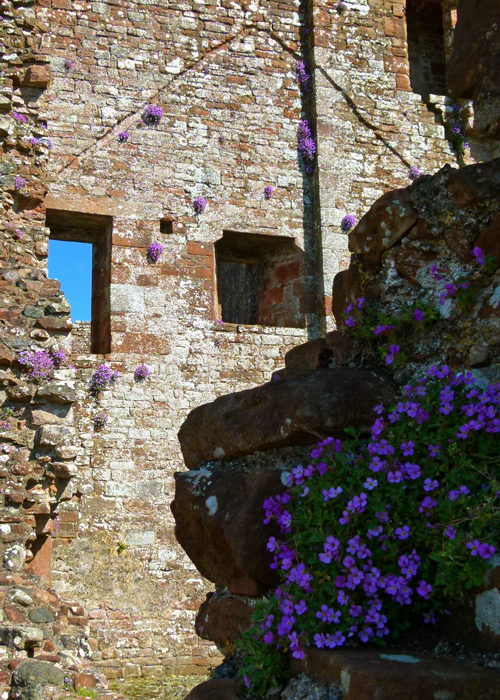 In the sunlight, the red-brown sandstone seems deceptively soft and, if you visit in spring, the formidable walls are speckled with little outcrops of bright purple aubrietia. It’s actually a beautiful and peaceful spot, with the lovely old bridge (wrecked by flooding last time I saw it) crossing the Eamont, a few scattered high-end properties beyond and the hum of traffic from the A66. It would have been much busier at Broughton eight – or eighteen – hundred years ago. I love the history, it is a place that I have not visited. How annoying the gate was locked so you could not climb on top. We’ve driven along the A66 many times on our way to Penrith (we almost bought a house there a few years ago) but we’ve never visited this castle. Must remedy that one! 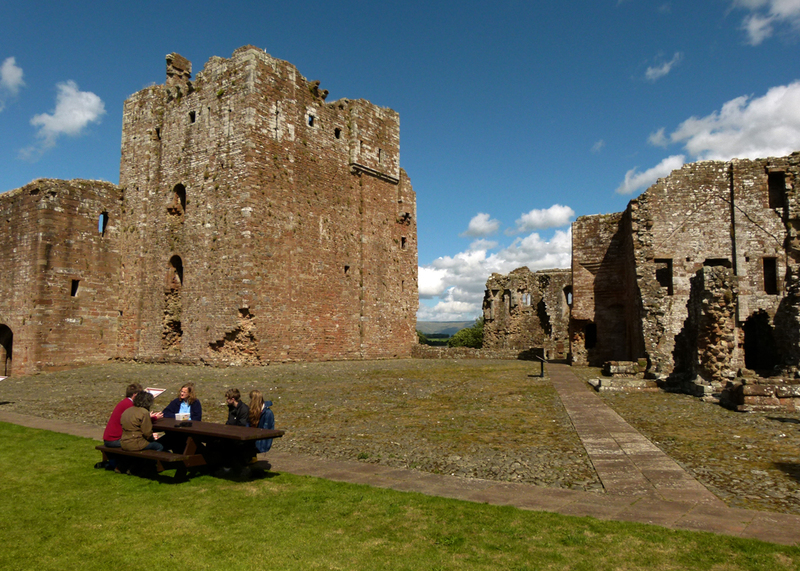 The history of the place is fascinating and I notice the castle’s built from the local Penrith (red) sandstone. I have a sample of it in my rock collection box. (Once a geologist, always a geologist Lol.) Great photos, Mike – thank for sharing. Excellent photographs, as usual. And those purple flowers! So much history, layer upon layer. And you manage to bring bits of it to life. I have trouble visualizing entire buildings from fragmentary remains, but you are clearly much better at it! The name Clifford is certainly familiar to anyone who has read about the border wars between Scots and English during those centuries! I find it completely fascinating that during Roman times, people could be sent from Turkey to Britain… I’m always amazed at how much people moved, when we always think about it as something typical from our time. Another fascinating snippet of history. These old ruins must have some amazing stories to tell. 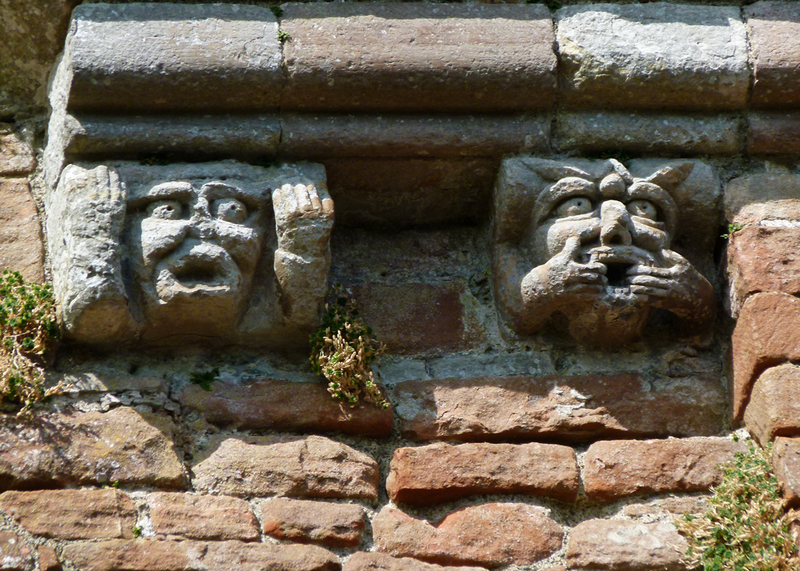 If those walls could talk…! A place so steeped in history is truly fascinating. Thank you for taking us along! Wonderful photos! I must have been a lovely day out! Fun to see it, read the history – and enjoy a conclusion translated from Latin ! It is good to know that this castle was lived in and loved until fairly recently. I enjoyed readingabout it very much and your photos are fantastic as always. That aubretia is lovely! I would like to visit here. Thought that first shot magnificent! Even as a ruin and shell it has great appeal!